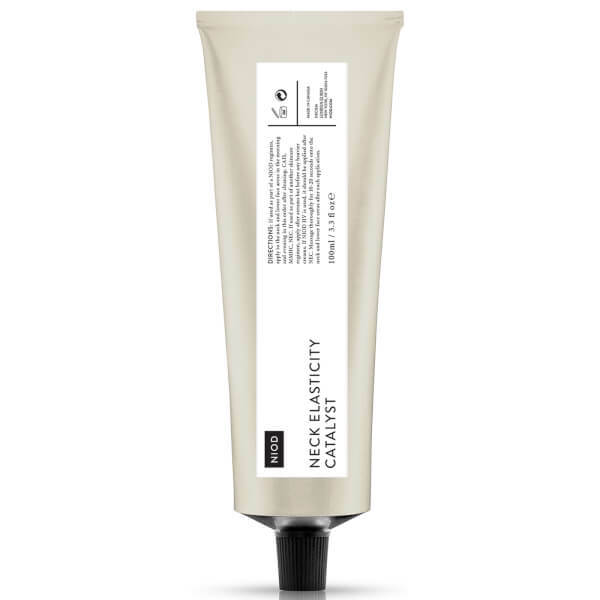 Improve the appearance of lax skin with NIOD Neck Elasticity Catalyst Serum, an anti-ageing formula specially formulated to improve the appearance of elasticity. Focusing on the increase and protection of visible skin elasticity, the neck serum utilises an array of powerful technologies to promote firmer-looking skin. Helping to prevent the development of neck lines and sagging, the serum contains pro-elastin and pro-elastic-fibre technologies, plus un-enzyme technologies to help inhibit the key enzyme that breaks down elastin. Free from alcohol, nuts and gluten.